Sedan replaced the XTS, CTS, and ATS. Public show cars will be held in New York on April 16, 2019. Cadillac CT5 made on the improved Alpha base, the front pillars of MacPherson, and the rear is a multi-link suspension. The design of the sedan turned out the same as the last company cars (CT6-V and XT6). 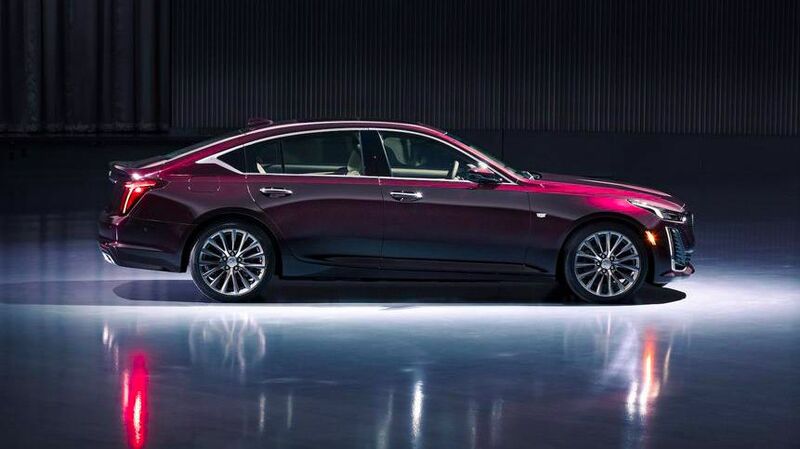 Still narrow head optics, vertical lights with a liftback profile taken from the Escala 2016 concept. New Cadillac CT5 will be with front or all-wheel drive. A 2.0-liter twin-turbo V6 and 3.0-liter twin-turbo engine expect. Older units prepared a sound calibration unique character. Among the equipment of the CT5 is Bose audio with Performance speakers. Build Cadillac CT5 will be in the GM plant in Lansing, in Michigan, USA.